For all of the fierce criticism levelled at the casting of Ben Affleck during pre-production on Batman V Superman: Dawn of Justice, the actor’s turn as the Caped Crusader is arguably one of the few positives to have emerged from the release of Snyder’s derided superhero tentpole. It’s enough to garner attention for the writer-director’s solo Batman movie which, despite not having an official release date, cropped up in conversation between DC executive William Morris Endeavor and The Hollywood Reporter. 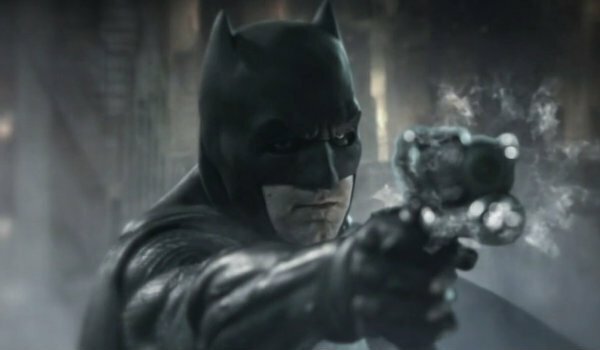 There, it was confirmed that Affleck is in possession of an early draft of the standalone feature, with previous reports claiming he will write, direct and headline as Gotham’s darkest of Dark Knights. One potential hitch though is Affleck’s current contract with Warner Bros., which only extends to three films including Dawn of Justice. Set for a two-part release across 2017 and 2019, Zack Snyder’s Justice League movie will build upon the somewhat shaky foundations laid by Batman V Superman: Dawn of Justice. Even factoring in a critical pummelling, Snyder’s universe-launching feature is still pulling in the big numbers, with Warner confirming recently that its worldwide haul is now north of $500 million. Batman V Superman: Dawn of Justice is in theaters now. Looking further afield, Ben Affleck’s proposed Batman movie hasn’t gained much momentum since it was announced last year. Nevertheless, we’ll see the actor don the cape and cowl across Zack Snyder’s two-part Justice League on November 17, 2017 and June 14, 2019, respectively.